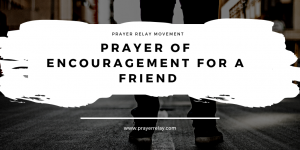 We want to pray for friends today. 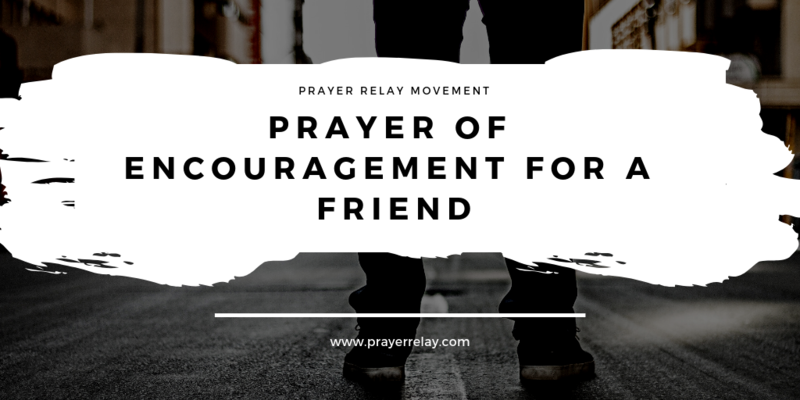 You find find great prayer points for friends below. The old adage has been proven true over time. Show me your friends and I will show you who you are. Jesus in some ways was an anomaly to this rule. He was a friend of sinners, friend of the downcast and downtrodden. He remembered those who were long forgotten by the rest of society. He found place at his table or at the tables of those who had long been marginalised. The key factor in all of this is that he had a greater friend in his father. This is to whom he turned to for guidance, for surrender, for help in his times of need. This is the man from who he got his authority from. Beyond this, the 12 disciples were his friends. They were people who were loyal to the vision, the one who would carry it further than Christ himself did physically. They took it to the ends of the earth, with most of them choosing to lose their lives for the gospel. Lord send us such friends. Lord give us vision. Lord give us friends who nurture and build our vision with us. There is a great analogy by Dr Myles Munroe, termed the “omelette principle”. If you mix one rotten egg together with a bunch of good eggs. The resulting omelette will be overcome by the smell of the rotten one. Think about that for a minute. Who are the rotten eggs in your circle? Who is bringing in that foul smell to your omelette? God has not called us to lives in solitude, to be islands. 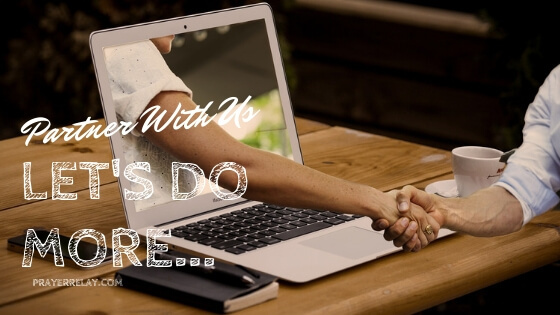 We are rather called to be collaborators in sharing and expounding the gospel. The scriptures are packed with examples of great men who have had or needed friends to walk this life with. King David had Jonathan. The greatest relationship that any man can have is one with God. While those he was sent to save turned against him, in the midst of all that pressure and stress, Moses found a friend in God. Joseph in the pits and prison, betrayed, falsely accused and forgotten. He too found a friend in God. Jesus standing trial on false accusations, with his closest ally, Peter denying him 3 times. He found a friend in his father. That is the one friendship that ought to me nurtured more than any other. A relationship with the one who sees all, knows all and loves you regardless. An omniscient, omnipresent God, who knows the filthiest of sins, darkest of secrets, and loves us so!! Who is like our God? Lord thank you for being a friend to me, even when I am unfriendly to you. Grant me grace and strength to be a true friend to you, as you are to me. Give me boldness to approach your throne of grace in good times as well as in times of need. Forgive of being a friend of the world, and thus an enemy to you. Grant me an earnest, steady heart. As we are called to be givers and edifiers, we need others to edify and build us up. Life should not be done solo. We are praying that God would give us mutually beneficial friendships. Not friendships in which we are leeches or being leeched by others. Father we pray that you would grant us grace to find and be in relationships that benefit us. Lord make me a better friend. One that builds up everyone around them, as Christ did! May we be there for one another and give each other sound counsel, also covering one another in prayer. Make me the helper that my friends need. Teach me to be selfless. Give me wisdom to give Godly counsel when my friends need it. This here presents our greatest hindrance. Even within Christian circles there is bad counsel. People whose sensual wisdom trumps their Godly wisdom, yet we look up to them because of the office they represent. Father open our eyes that we may know good counsel when you give it to us. May our ears not hunger for words that tickle but bring no substance. Make us a people truly after your heart. King David sought prophetic counsel even when it came at a cost, teach us to value your counsel and wisdom in such a way. Father we pray for teachable hearts. Give us humility to remain hungry to learn, accepting of correction and reproach. Guide as we seek leaders and mentors in our journeys. Raise the right leaders for what you have planned for us. We pray that we would be men and women with a multitude of counsellors. Give us wisdom to know good counsel and pick it from the multitude. In Jesus’ name. May we have a lot of friends who fear God and can guide us in the right way, also to encourage us in trying times. Let our circles be filled with men and women who truly after your heart in all they do. Let this be the bedrock of marriages, communities, cities, nations in Jesus’ name. The fear of the Lord is the beginning of all wisdom. May your reverence guide our thoughts, and be the campus of all action, through Christ Jesus. 1 Cor 15:33 Be not deceived: evil communications corrupt good manners. Father we cast out every evil word that has been place in our consciences. Renew our minds, purify our hearts and thoughts. Grant us humility to know to run to you and away from evil communication that would corrupt our good manners. Lord make us influencers in our spheres. Make us true representations of your ways. Pray that we may be wise to pick the right friends for ourselves who are wise and progressive and who will lift us up in all we do. It is reasonable to believe that Job was wise enough to have walked with these friends to this point. At times you will outgrow your circle. Some of the people around you are not going where you are going. Do not drag them along. At times you will need to let go of some people around you, in order to get to where God is taking you. Had Job taken advice from those who at his lowest moments counselled him to curse God, and die, he would never had seen the greater things God had in store for him ahead. May God raise those who comfort you in times of trouble and have genuine concern for you, those who hold you dearly in their hearts. Lord give me strength to stand for you when counsel says otherwise. Samson’s fall was a result of putting his desire above those of God. Let that not be your story! We are praying that every desire would bow before the will of God. Father rid me of any desires that stand against your will. Father you know where you are taking me. Remove from my heart any desires that will stand in the way of what you want to do in me. May I never be a hindrance to your will in my life or that of others. My decisions will no longer be shared by financial or fleshly desires. God is notorious for turning negative situations for our good. The scripture says in Romans 8:28 And we know that all things work together for good to them that love God, to them who are the called according to his purpose. We are praying that even when they meet in secrecy to plot against your destiny, the Lord is raising support for you from their midst. Father you have done it before and are faithful to do it again. We pray that wherever there is a gathering against me, you are raising support from me from the enemy’s camp! Thank you Lord for favour in the enemy camp. Move men and women to stand for me even when they don’t understand why they are doing it. Grand me grace to love my enemy. To be Christ to those who seek my distraction. We thank you Lord for everyone that values friends enough to invest in prayer. 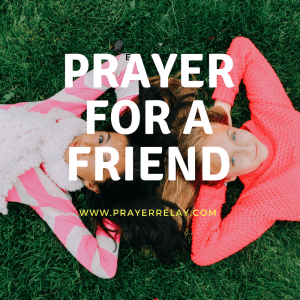 We are going to intercede for our friends. Let us stand in the gap and plead their case in front of God. Lord bless my friends. Grant them prosperity in health, in spirit as their souls prosper. Lord I pray for my friends’ financial needs. May they see your hands in provisions. Father I pray that you would meet their needs according to your riches in glory. May their hearts never be consumed by greed. Reel them in. 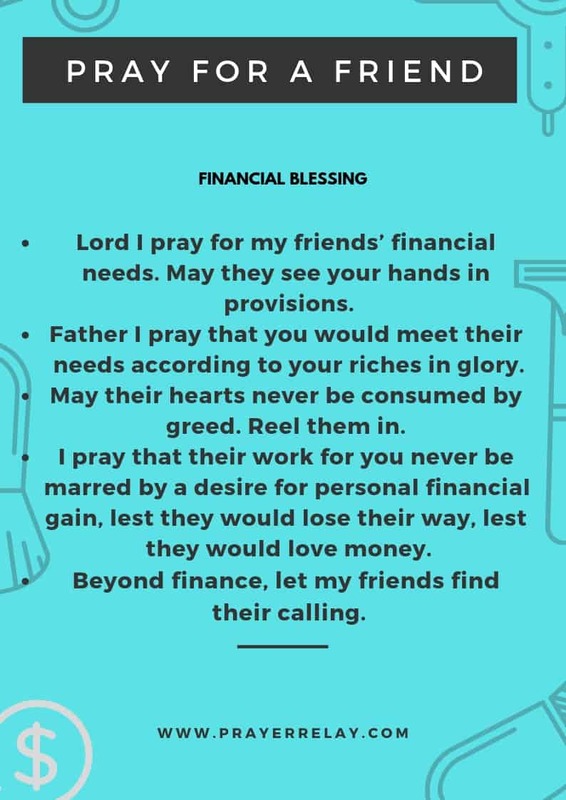 I pray that their work for you never be marred by a desire for personal financial gain, lest they would lose their way, lest they would love money. Beyond finance, let my friends find their calling. Lord this world is full of pressure. Grant my friends peace and rest. Teach them to cast their cares on you, for you are able. Lord many live are being lost daily to this thief. I come against the spirit of suicide among my peers. Give them life abundantly, in Christ Jesus. Use me to be a bridge over troubled waters in their times of need. Teach me to reach them and love them like you would. Raise a mighty support system for them, in Jesus’ name. Lord let no friend of mine pass without knowing who you are. I pray that you would call them. Draw them to you, oh Lord. Use me to reach them. Give me wisdom, boldness and the right words. Open their eyes to see you. Give them ministries and careers that are fulfilling. Father we pray for my friends’ marriage. Let love abide in them. May the spirit of divorce be nullified in their unions. What you have brought together, let no man pull apart. Teach them to love their spouses to a point it hurts. Thank you very much for taking time to raise a prayer for a friend and for yourself. The value fo prayer can never be overstated. I want to encourage you to partner with us in prayer. The more hands we have, the more resources we can create to edify the body of Christ. We need more volunteers. We would love to stand with you in prayer as well. Every need posted on our prayer request page or sent via email is collectedly prayed for by our team of volunteers across the world. Do not hesitate to send your request in. We delight in supporting God’s people. That is what this ministry exists for. Take time to also have a look at other resources that are available on the website, including our free prayer course.